I’m so thrilled to have my new friend Lee Nienhuis sharing today. Lee’s brand new book is Brave Moms, Brave Kids: A Battle Plan for Raising Heroes. And y’all, it. is. fantastic. I wish I’d had it when Casiday was little but the truths contained are timeless. Whether our children are babies or grown and gone, we have the profound privilege of challenging them to live as heroes — and modeling that for them with our own lives. Join me in welcoming Lee and then be sure to check out her new book! The Mama Bear thing. Yeah, that’s real, isn’t it? When my oldest was born, we did things by the book. In fact, I had my first sip of caffeine in 9 months about thirty minutes after delivery, chased by a slice of deluxe pizza. When our pediatrician said to wait to introduce a food group, I was compliant. If that pacifier hit the ground for an instant, I sterilized it, and I made sure to always have a couple of back up outfits in the bag, just in case. Fast forward to my fourth kid, who was born addicted to coffee, chips and salsa, and who was enjoying ice cream at a tender 6 months. It’s not that I didn’t care, believe me I do, it’s just that the things that used to be major just don’t seem to work me up the same way they did at first. Maybe you see that in your mothering, too. Perhaps what once would have taken you directly to the principal’s office, to Web MD, or to your Mama has changed and with time and experience you’ve mellowed. Or maybe not at all. Maybe you are the mom who panics and you know it. Every threat elicits a fear response, and you are running swinging at invisible demons afraid at every turn. Both ends of the spectrum are natural. 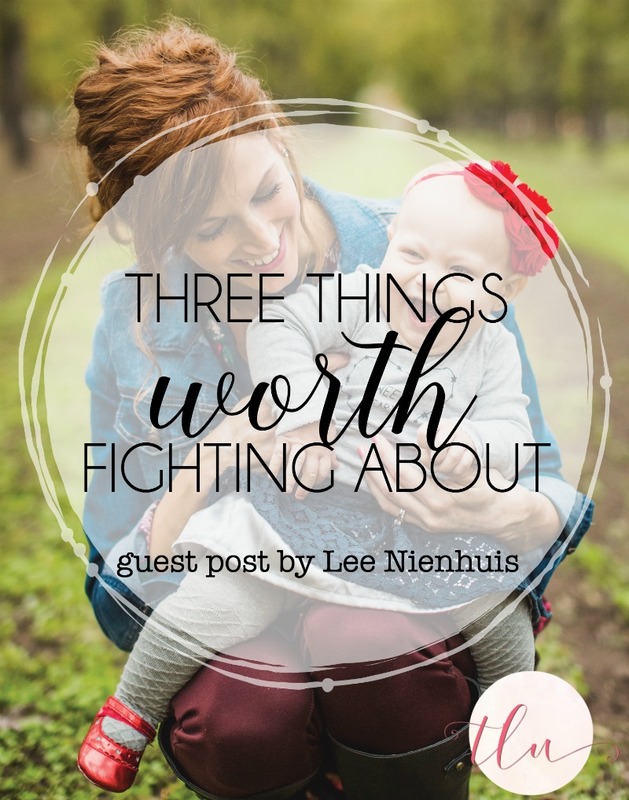 The question we must ask ourselves is, “What is really worth fighting about? When should the gloves come off? Friends, there really are a few battles that must be fought and won in motherdom and we must shake off fear and passivity and take our place as contenders for our children. 1. We must fight for their salvation. 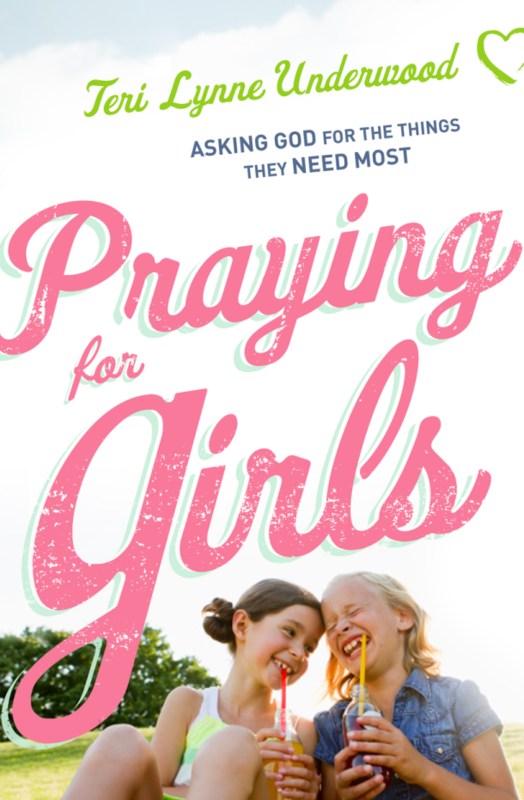 Several years back at a Bible Study, a friend confided in me that she felt torn about praying that her children would come to faith at an early age. She reasoned that if they never walked a road without Christ that they would never see the value of a relationship with Him. It was easy to hear the concern of her heart, but in reality the enemy had fed her a lie. Our children’s greatest need is Jesus. Our most fervent prayers and diligent work must be for their souls. Friend, salvation is everything. No matter the age of your child, we cannot rest until their souls rest in Christ. No matter what psychology tells us, our tiny babes are born with a sin nature, rebels against the King (Romans 5:10). We must be relentless in prayers for their salvation, diligent to point them to the Savior, and faithful to share the story of Christ crucified for their sins. 2. We must fight against spiritual opposition. Scripture makes it clear that our fight with our children and for our children is not with flesh and blood. In reality- not in a cartoon and certainly not in a comedy show, we wrestle with real supernatural enemies. Ephesians 6:10 tells us that every battle has at its root spiritual opposition that we cannot see with our eyes, but must discern with our spirit. I just read about a string of suicides in a high school nearby. This is not only devastating, but we can know it has at its origin Satanic influence. As mothers, we must see with spiritual eyes the battle surrounding our children. We have authority in Jesus’ name to resist Satan and his plans for our children (James 4:7). This means we will get rowdy in prayer when our children face curriculums that undermine a biblical worldview. Before racing to a school board meeting, we bow before the Almighty of Heaven and Earth and ask for His intervention on behalf of our children. And we train our children to suit up for their battles, lifting their own shields of faith and effectively wielding the sword of the Spirit—the Word of God (Ephesians 6:16-17). 3. We must fight for their holiness. 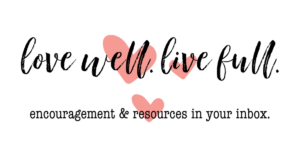 There is such a fine line in micromanaging our kids’ behavior and insisting that our children recognize and deal with sin patterns in their lives. It was shocking for me to learn that there were times in Scripture when God held parents responsible for not discipling their children. Lean in for a minute, friend, and listen deep. 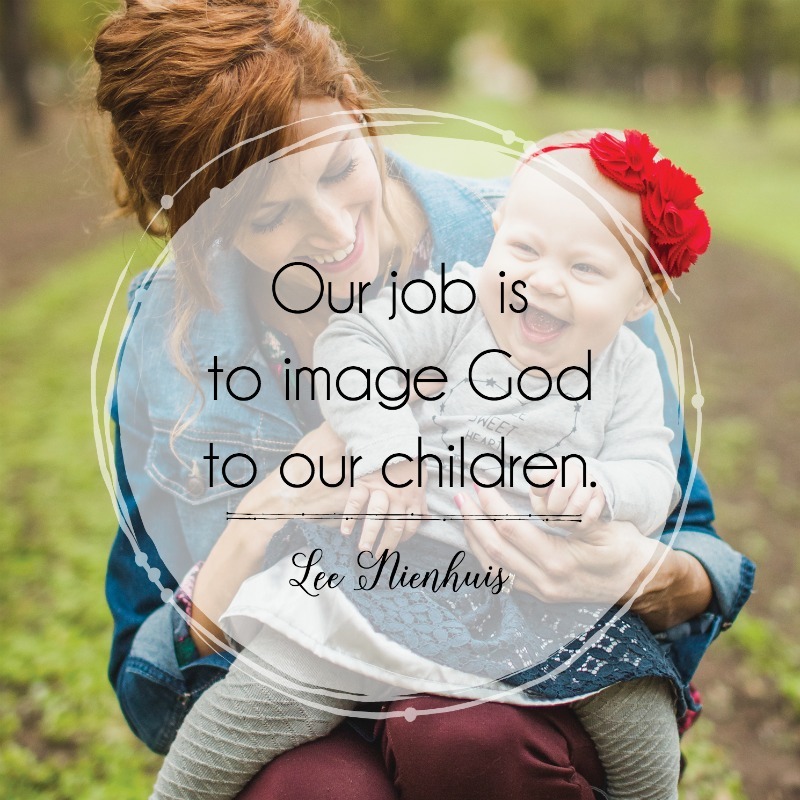 Our job is to image God to our children. While society is modeling passivity and even child centeredness, we will be doing a grievous disservice to our children if we don’t gently tend their hearts. At the root of the word discipline is the word disciple, and that is no accident. Discipline, by definition, is not merely doling out consequences, though surely that is part of it, but it also looks forward and actively teaches, instructs and prepares them for the path ahead. While this must be measured in love, gently (never abusively) and diligently, the pressures of society to allow our children to be “free range” disciples is unbiblical. Our heavenly Father proves His love to us by His discipline (Hebrews 12:6). The choices we make every day to engage with our kids for their obedience to the Lord are neither convenient nor fun, but they are right. So we get up and do the hard work of training our kids, because that’s our job. This is our fight for them, not against them. 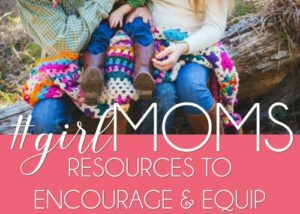 Mothering has scrap built right into it and praise God for it! Are you as encouraged as I am by Lee’s words? You can learn more about Lee on her website. And, you can order her book right now on Amazon. Love this! Right on target. Ouch! Wow, such powerful truth! Thanks Lee!